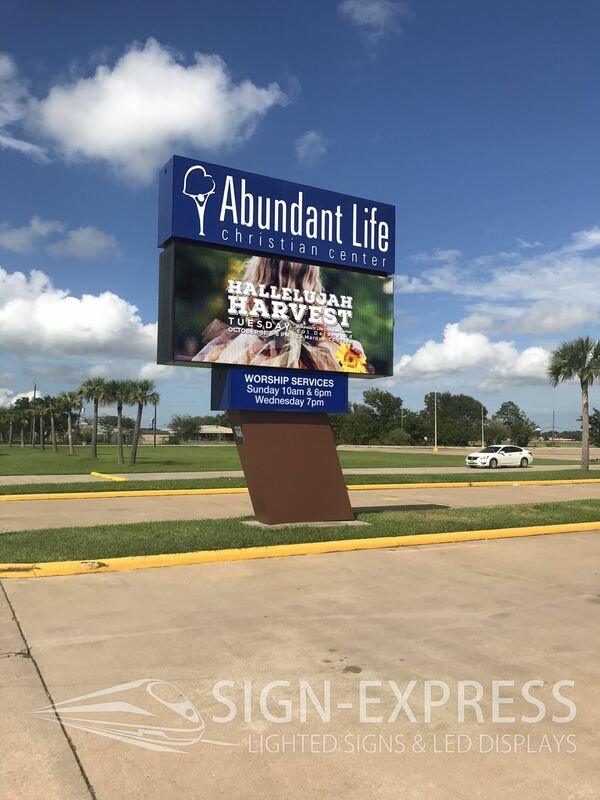 LED signs are a core product of Sign-Express and we are experts and fusing an outdoor LED sign or electronic display into an existing structure or designing effective new structures for your location. 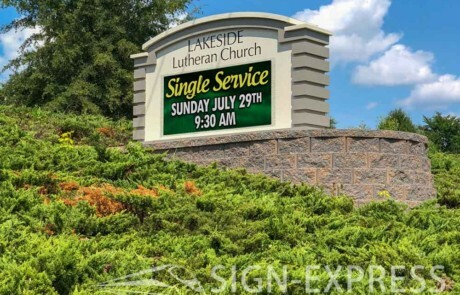 We offer a wide range of electronic display signs from simple cost effective models that will not break the bank to high definition full color LED sign series to display high resolution images and messages. 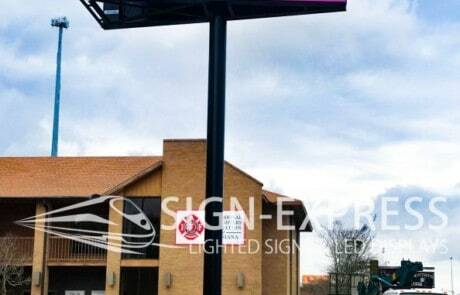 We understand that value and quality are important to our clients, they are most important to Sign-Express. Our manufacturer has a proven track record and are made right here in the US. 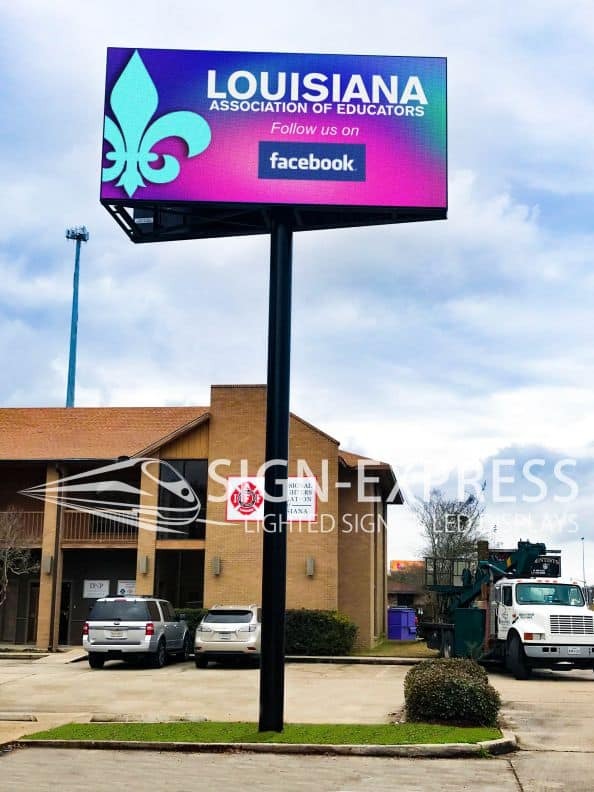 Whether you are looking for a simple remote controlled unit for your window or an LED billboard for off-premise advertising, Sign-Express can deliver and at the right price for the best value. 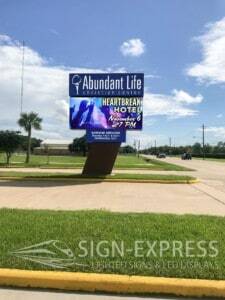 Sign-Express offers 10mm HD LED signs and solutions for our clients. 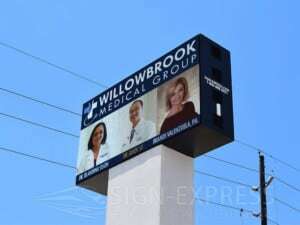 High quality LED signs and features included with all signs produced. 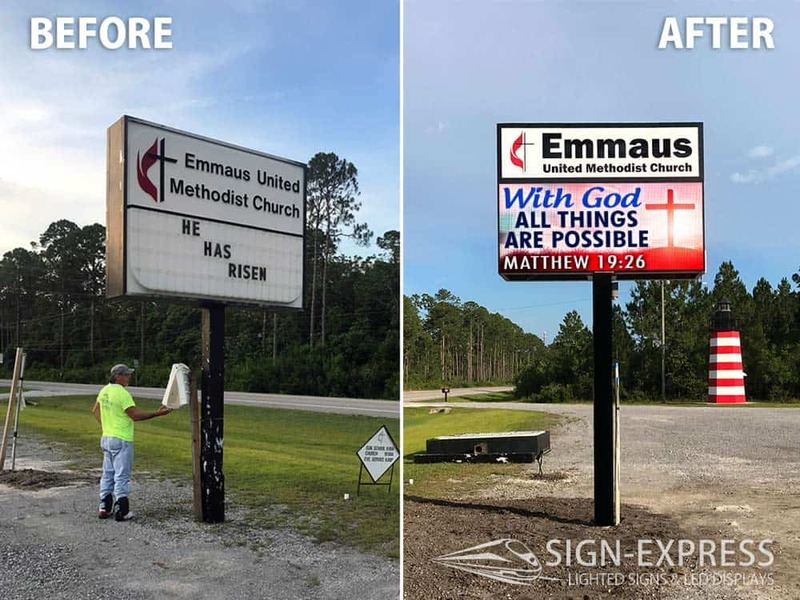 Perfect for Churches, Healthcare, Movie Theaters, Furniture Stores, Real Estate, Law Offices and more. Anywhere that high resolution video and images will bring attention to your products and services. 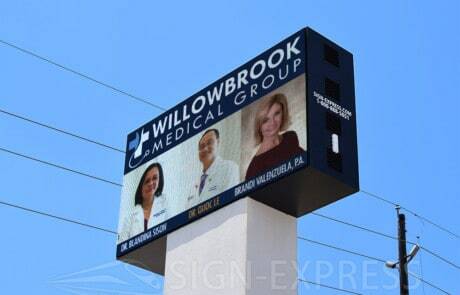 Sign-Express offers 16mm HD LED signs and solutions for our clients. 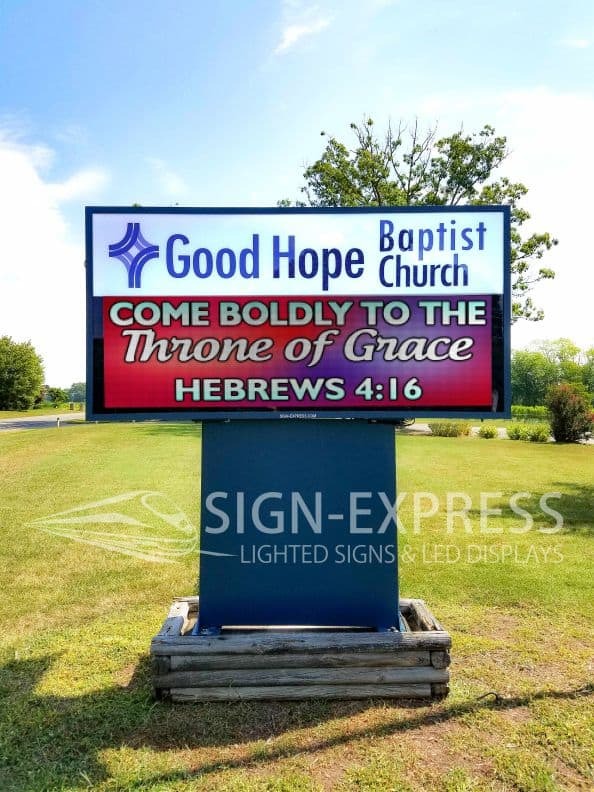 High quality LED signs and features. Perfect for Churches, Automotive, Service based businesses, Franchises, Healthcare, Real Estate, Law Offices and more. Anywhere that high resolution video and images will bring attention to your products and services. 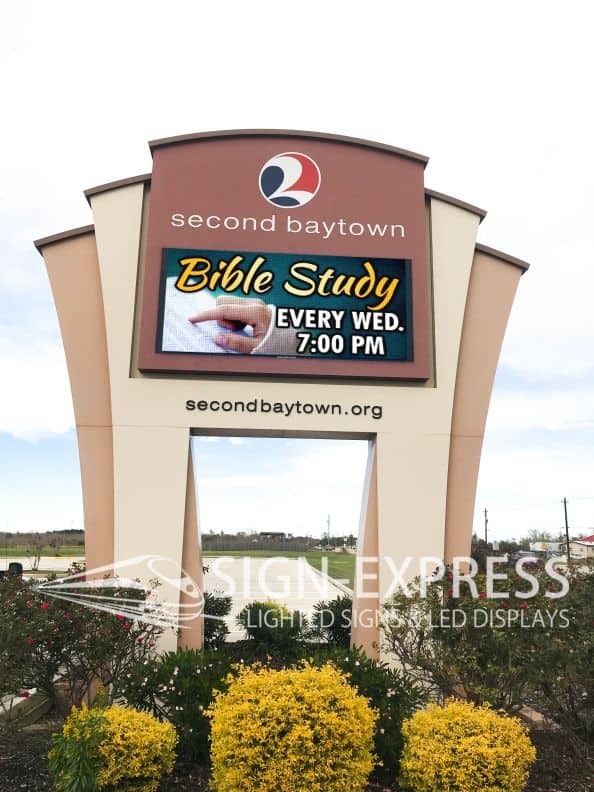 Sign-Express offers 16mm Tri-Color LED signs and solutions for our clients. 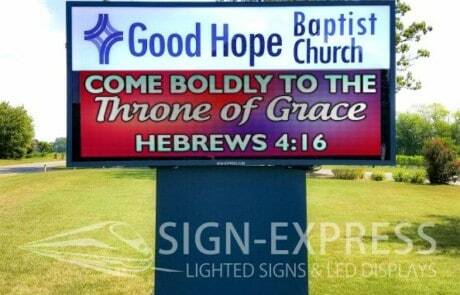 Low cost LED signs with all the same great quality and reliability of our HD full Color LED signs. 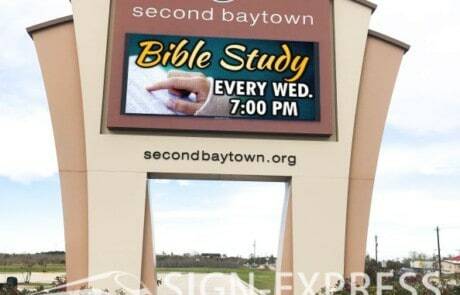 Perfect for smaller Churches, service based businesses, Retail stores and more. 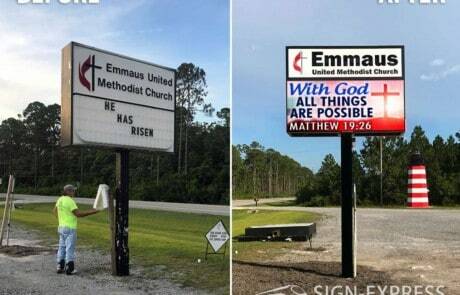 From simple text to shaded images and video, these signs still look great! 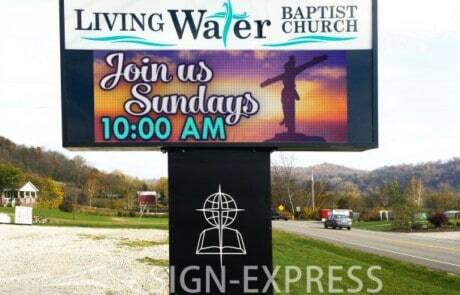 Sign-Express offers 20mm Tri-Color LED signs and solutions for our clients. 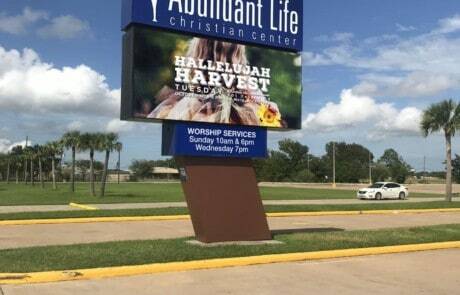 Low cost LED signs with all the same great quality and reliability of our HD full Color LED signs. 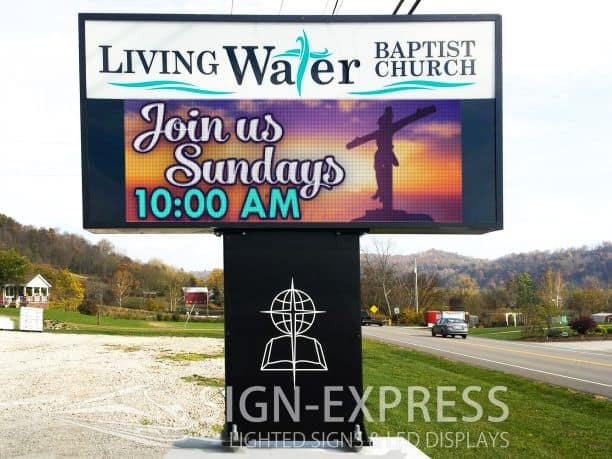 Perfect for smaller Churches, service based businesses, Retail stores and more. 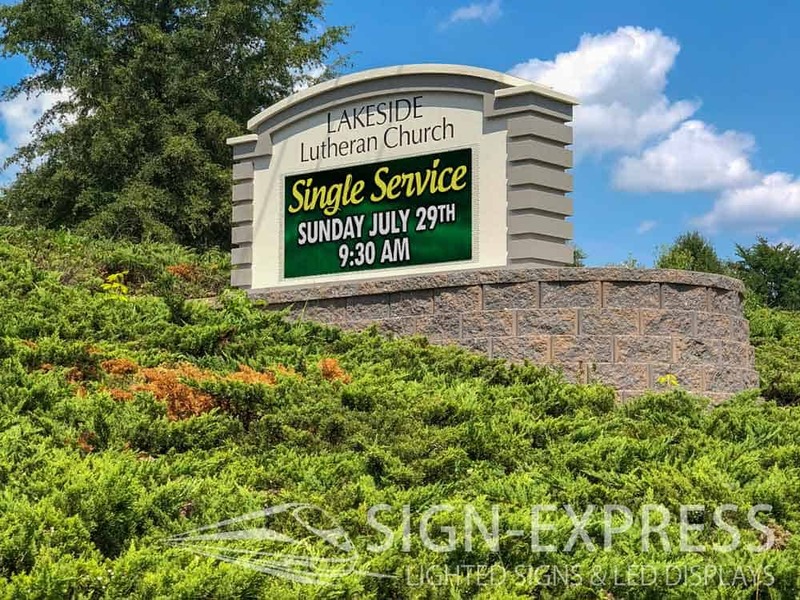 From simple text to shaded images and video, these signs still look great!